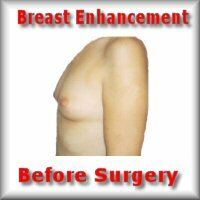 Many women choose to have breasts enlargement or a breast lift in order to satisfy the desire for a more enhanced bust line. Your breasts may not have developed to a size which meets your expectations, or one breast may, in fact, be significantly smaller than the other which many women find embarrassing. You may have been happy with your breasts in the past but feel that they look different now, especially after childbirth. Often, after weight loss, childbirth, or as a result of ageing, the breasts lose volume and their shape changes and this in itself causes undue mental stress. With modern technology and modern plastic surgery techniques, it is possible to dramatically improve the shape and feel of the Breast to meet with your desires and expectations. 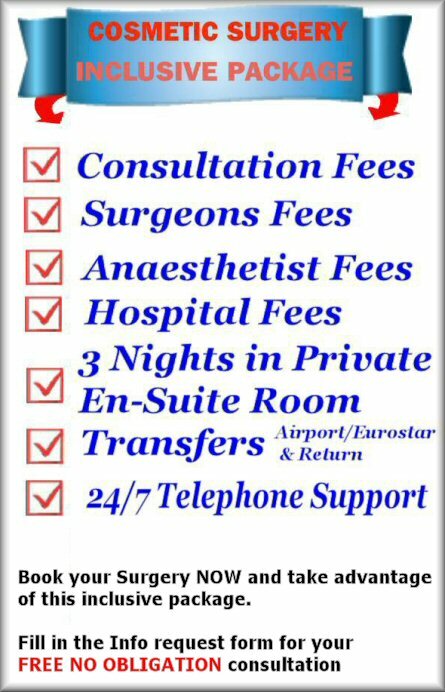 When it comes to quality care and ethical practices coupled with experience and the very best medical skills available we feel that we can meet all of your surgery requirements. 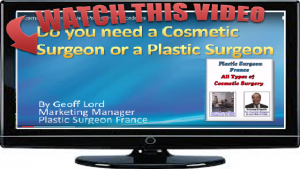 Here at Plastic Surgeon France, we provide cosmetic and plastic surgery operations in France and can put a package together which will meet your cosmetic surgery needs. Our Plastic Surgeon is highly skilled and qualified to perform Breast Augmentations of all types. 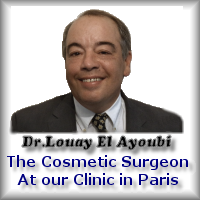 Our Plastic Surgeon has many Years of experience in all types of Cosmetic Surgery and reconstructive surgery. There are several options to reconstruct the breast. Our surgeon will assist you to select the best option based on your specific needs. Breast augmentation can be carried out by the use of a breast implant, or by using your own tissue, or by using a combination of the two. 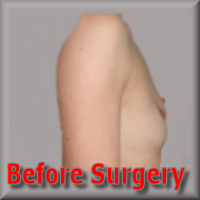 Augmentation using a breast implant. With this method, an implant is introduced under the chest muscle creating a cover for the implant. In most cases, it is necessary to stretch the skin on your chest with an inflatable expander before the final implant is inserted in order to create a natural-looking breast. With this method, the surgeon will use your own fat, skin, and muscle tissue harvested from your back or abdomen. In a few cases, tissue can also be taken from your buttocks, your thigh, or even other distant regions of your body, but the areas to be harvested will be agreed between yourself and the surgeon prior to the procedure taking place. In some cases a combination of both techniques may be used, for example, if you are very slim and have a large breast, the reconstruction may require both an implant and your own tissue to obtain satisfactory results. Your surgeon will guide you in deciding which is the right choice for your particular needs.